This past weekend, I went home once again. It was weird to be home two weekends in a row. Although I did not get much sleep over the weekend, it was certainly nice to be home. Friday night, my mom and sister went to a mother-daughter party at a friend’s house, so my dad and I went out for dinner, which is something we rarely do. It was nice to sit and talk for quite awhile (and eat some good food). Then Saturday morning, I went with my sister to get her alterations done for prom. The alterations were done at our local fabric shop, so I also looked around at the beautiful fabrics. 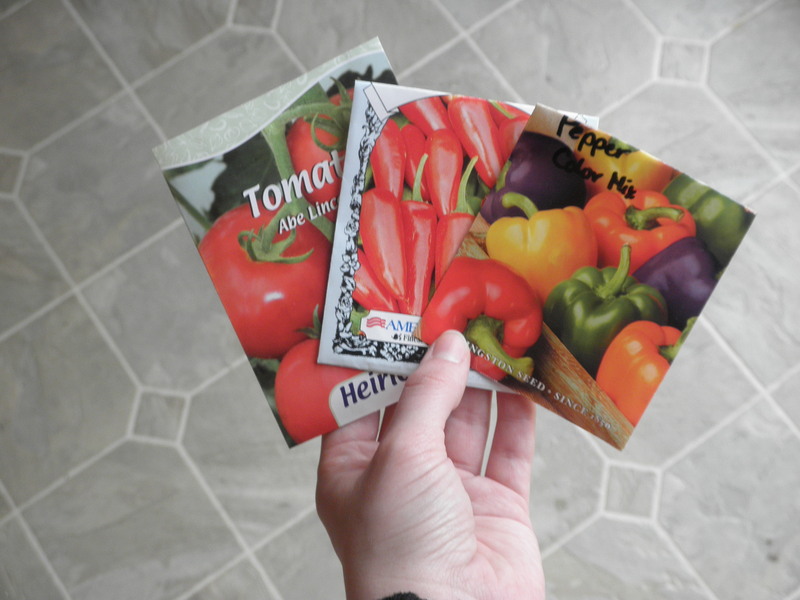 My mom’s one request while I was home was to start peppers and tomatoes inside in preparation for our garden. 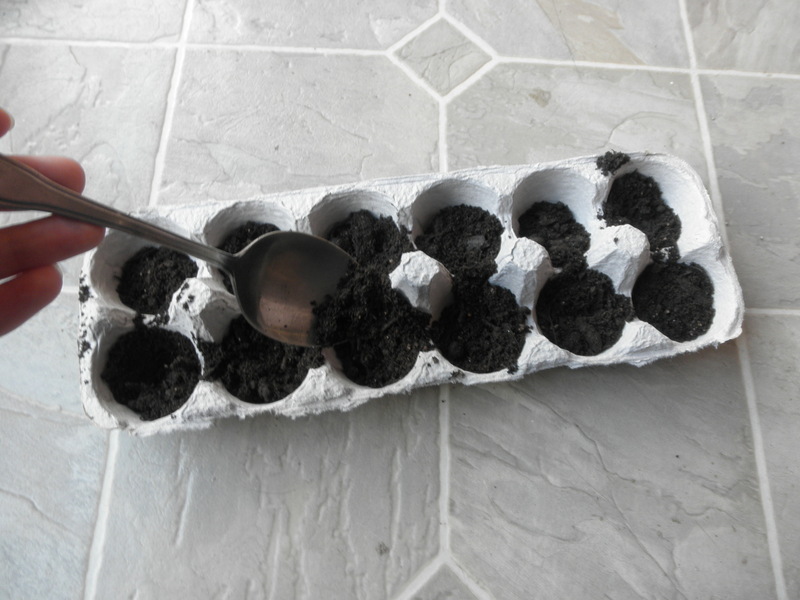 Although we have plastic containers for this task, we decided to use the many old egg cartons we have saved over the year instead. In case you’re wondering how to do this, I figured I would share the (very easy) steps. 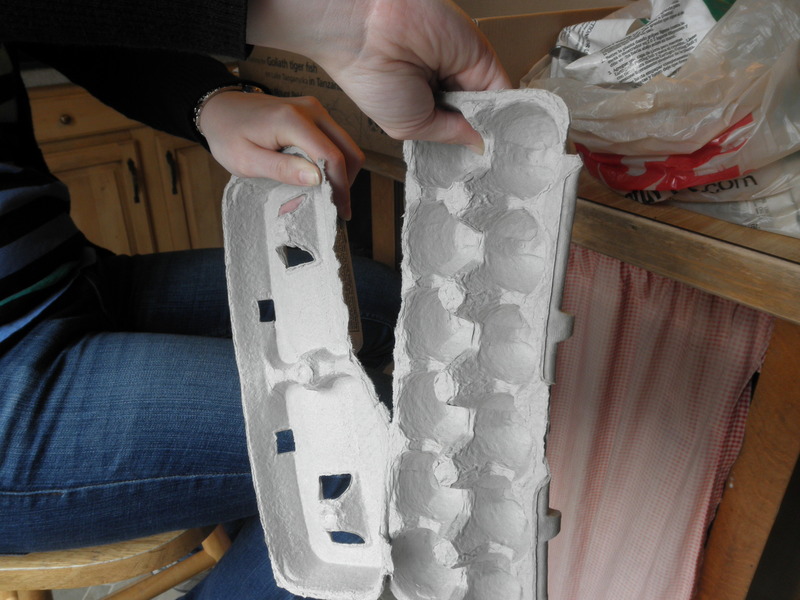 First, you want to tear the egg carton in half as shown above. If you want, you can cut off any excess that’s on the sides. 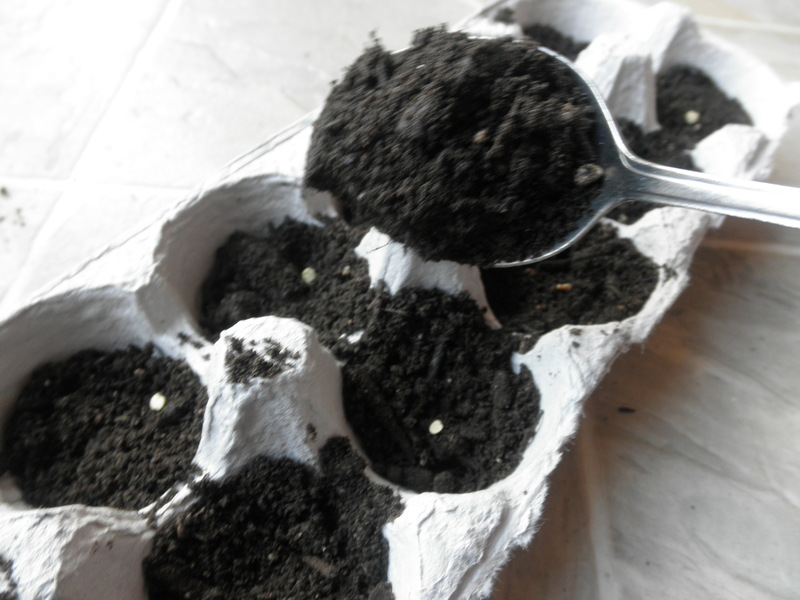 Then, you fill each of the holes up a little over halfway with potting soil. 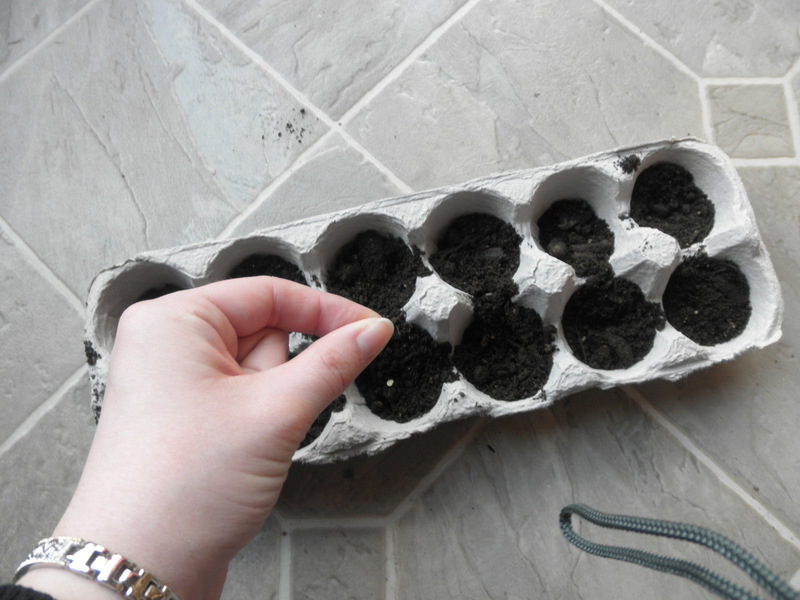 Next, place one seed in each circle (some people put two seeds in and then thin to just one plant, but we didn’t want to bother with that later on, so we just did one seed). Then fill each hole up to the top and lightly water. And you’re all set! Really easy, right? After planting our seeds, I decided I should go on a run. I forgot that I haven’t been doing any hills while at college (it’s pretty flat here, but not at home), and almost died, but I made it up the hill to my grandparents’ and visited for a short while. Saturday night was spent hanging out with my best friends from high school- we didn’t get to sleep until about 4 AM, then got up early that morning. I’m still recovering from the lack of sleep. Sunday morning, my family went to church, and then we returned home to start our Easter dinner. We considered not making a dinner because it was just the four of us, but my sister insisted that we have a full meal. 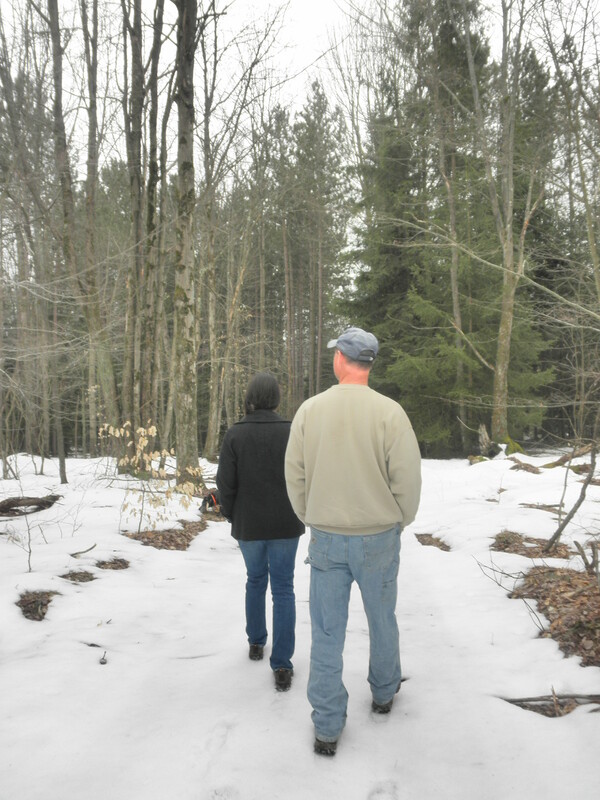 Once the ham was in the oven, we decided to go for a hike up on the hill. It started raining just before we got back to the truck. After a delicious dinner, I snuggled up on the couch until it was time to return to college. I have to keep reminding myself that it’s less than 2 weeks until break- I cannot wait!